In looking at showtimes to go see the new Pirates movie I found that a lot of the showings were reserved seat, which is kind of annoying to me, but now I get that these are recliner theaters that they seem to have put into a lot of the AMCs in our area. 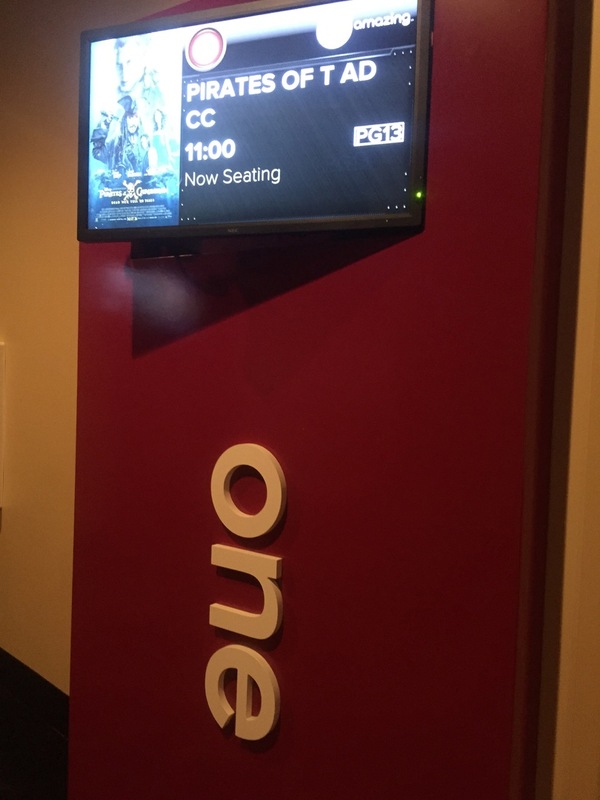 We just got tickets at the theater, but it is nice that you can do it online easily for accessible and companion if you want, which I suppose is actually a good thing because there have been one or two times that we've gone to the movies and there were no wheelchair spots left. The only real problem with the recliner theater is that they do not end up having cupholders for the wheelchair seat. 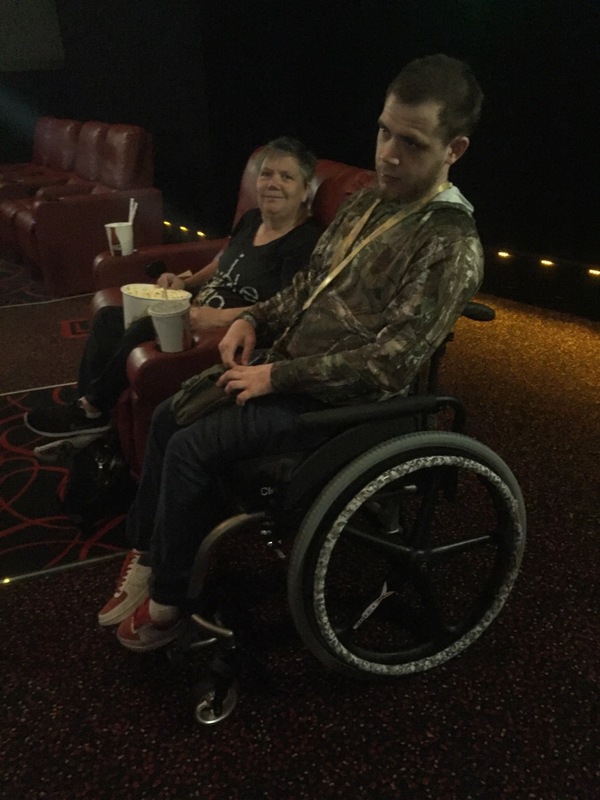 In the regular theater this has never been a problem because the seats always have them on both sides so there's enough for the person in the seat and the wheelchair next to it. The recliners only have them on the aisles and the middle armrest doesn't have one. I guess it doesn't because that armrest can be put up, but I don't see why they couldn't have made them with a cupholder like middle seat armrests in cars. Overall we all really enjoyed the recliner theater. 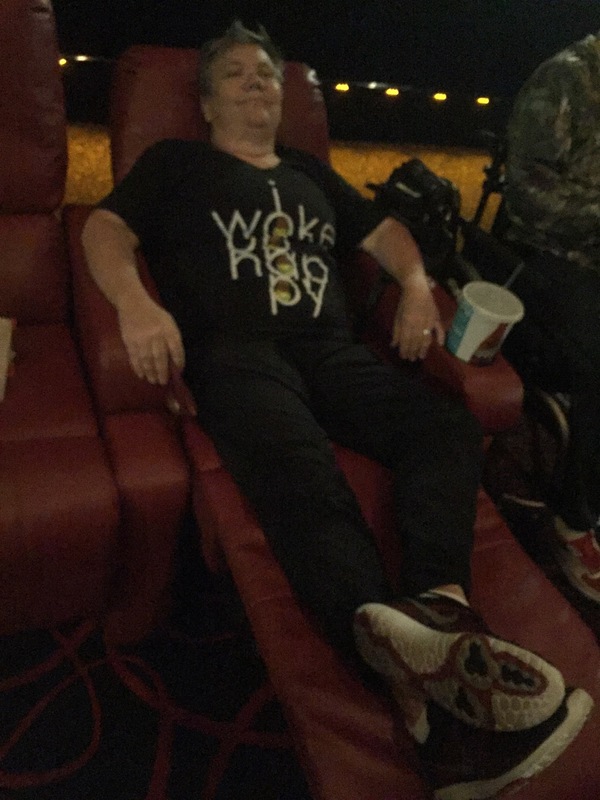 Mik definitely wants to do it again, but now that we know what the theater looks like we would probably actually take the seats on the sides in the back row that are not marked as accessible, but we could easily roll next to and transfer Mik to a recliner. That way he not only gets the whole experience, but more importantly a cupholder.